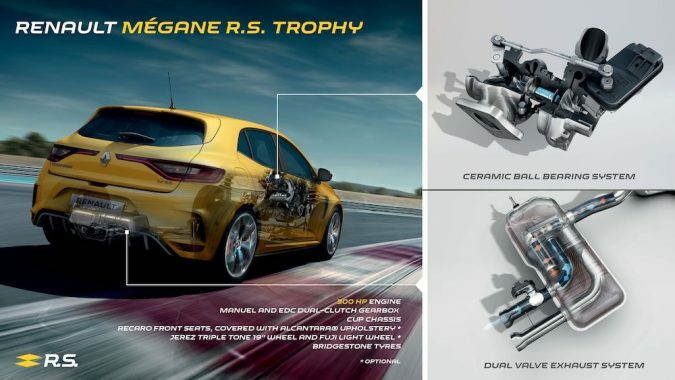 Renault fans, and fast car enthusiasts alike, can look forward to the newest edition of the Renault Megane RS Trophy. 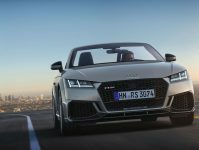 The new RS Trophy comes with a long list of tech and performance stats that is enough to get any car enthusiast interested. With an increase in horsepower up to 300, a valve operated exhaust and Bi-material brakes to name but a few of the upgrades and improvements on the latest edition, orders open in autumn and deliveries will start in winter. 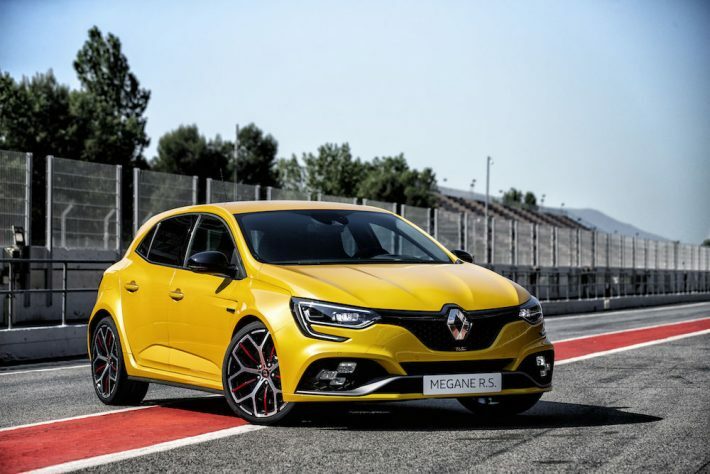 This latest Trophy edition of the Megane has a brand new version of the 1.8-litre turbo engine that, as previously mentioned, packs a pretty impressive 300hp. This new engine brings a new level of performance and this is the first time an RS model has produced this level of power, it’s torque rating is 420Nm. The power comes from a whole heap of new tech with regards to the turbocharger and exhaust system. 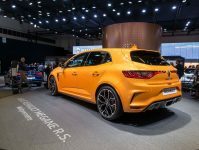 This is the first Megane RS that is able to alter the engine note, and the engine can be fitted with a six-speed manual gearbox or a six-speed EDC (Efficient Dual-clutch) system. 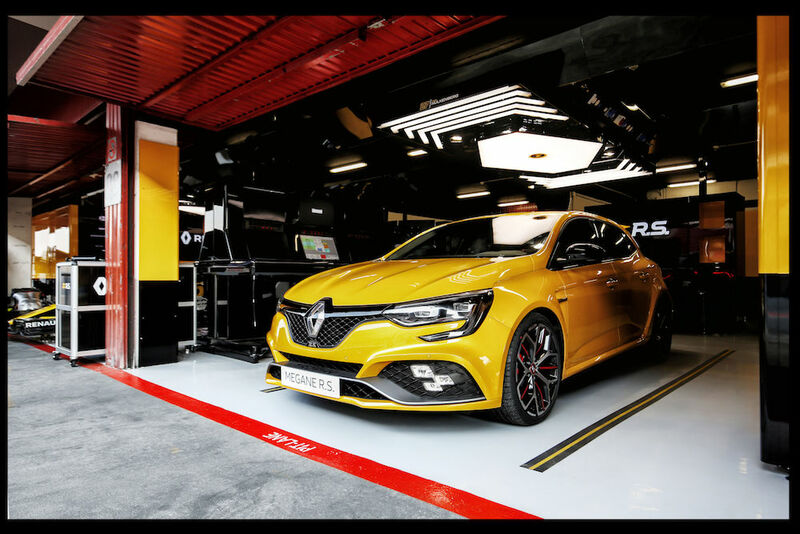 The chassis is based on the cup version of the Megane RS, which features stiffer suspension and Torsen® mechanical limited slip differential. This Trophy edition also now features Bi-material front brake discs, ‘Jerez’ 19-inch alloys and Bridgestone high-performance tyres. 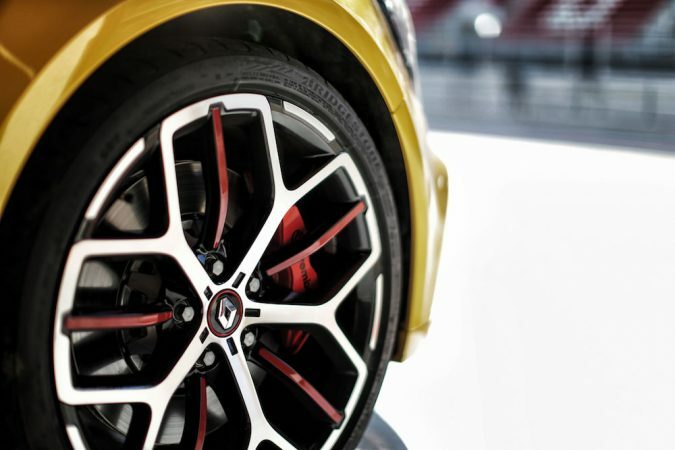 However, for 2019 there will be a new set of 19-inch alloys available for the car, that reduce the total unsprung weight by 8kg. 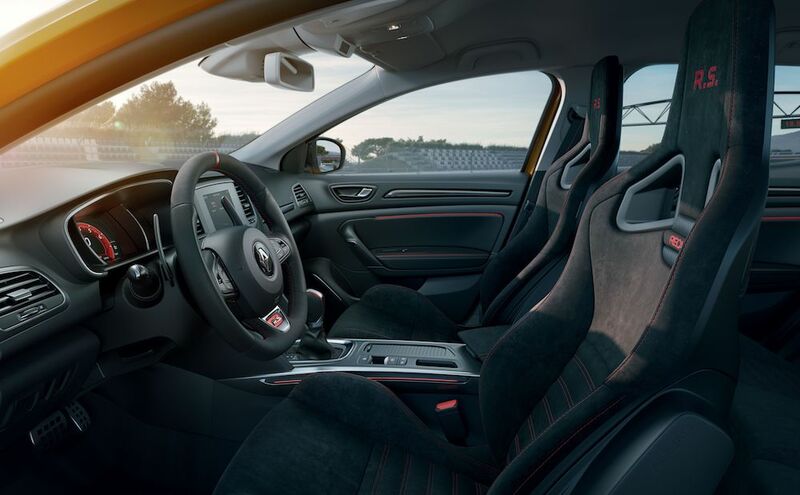 Buyers will also be intrigued by the new seats that are exclusive the Megane RS Trophy, they are optional but they are Alcantara covered, Recaro seats, that not only offer increased support but also sit 20mm lower for better driving position. The new Renault Megane RS Trophy still includes the renowned features of previous Megane RS models. These include the 4CONTROL four-wheel steering system and also the four bump stop shock absorbers. The Trophy edition also includes features suited towards day-to-day driving. 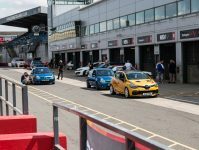 These include different driving modes using the Multi-sense system, the RS vision lighting system and the RS monitor telemetry and data acquisition system. Nico Hulkenburg has been involved in the development of the Megane RS and says that he is, “very pleased to see and even sportier edition added to the family!” The Renault Sport Formula One team driver and Renault Sport ambassador also points out the obvious benefits of the grip and brake endurance. The increased performance of the new engine delivers better acceleration, including better acceleration at high revs, whilst the torque contributes to driving pleasure and comfort behind the wheel. These new statistics also comply with the new emissions restrictions that will come into play on 1st September 2018. 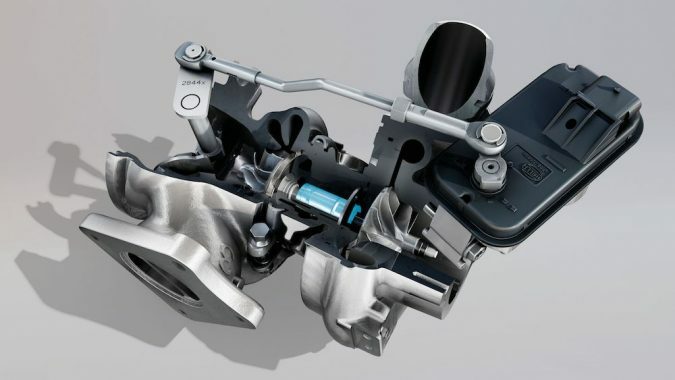 In order to offset the amount of exhaust back pressure, the engineers have taken inspiration directly from Formula One, with regards to the turbocharger. The Turbine features a ceramic ball bearing, to help with the 200,000rpm, which is lighter, harder and smoother than hardened steel and the ceramic also helps to reduce the friction. These ball bearings mean that the turbo is able to spool quicker which, in short, means that the car can accelerate quicker and is more responsive. The exhaust system’s rear silencer has been fitted with a mechanical valve that enables the engine noise to be adjusted. The valve is automatically controlled according to the Multi drive mode selected and the speed and load on the engine. 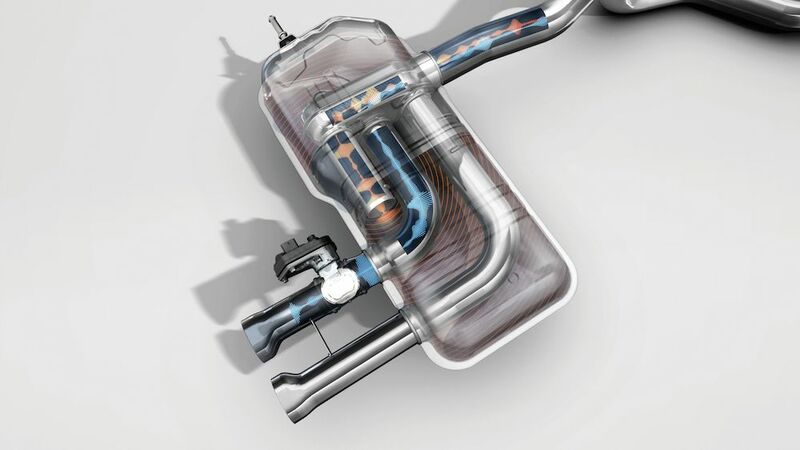 With the valve closed the exhaust gases are routed along a path that filters out the low frequencies and gives the car a sporty sound and feel for everyday use that isn’t harsh on the ears. When the valve is open the gases have a direct path out that allows the engine to function to its full potential in terms of performance and sound. The Bi material front brakes have 355mm discs, they reduce the unsprung mass by 1.8kg and deliver far superior heat dissipation during intensive use. This combination makes them perfect for track usage as it reduces brake fade, the Brembo callipers are also painted in their famous red. 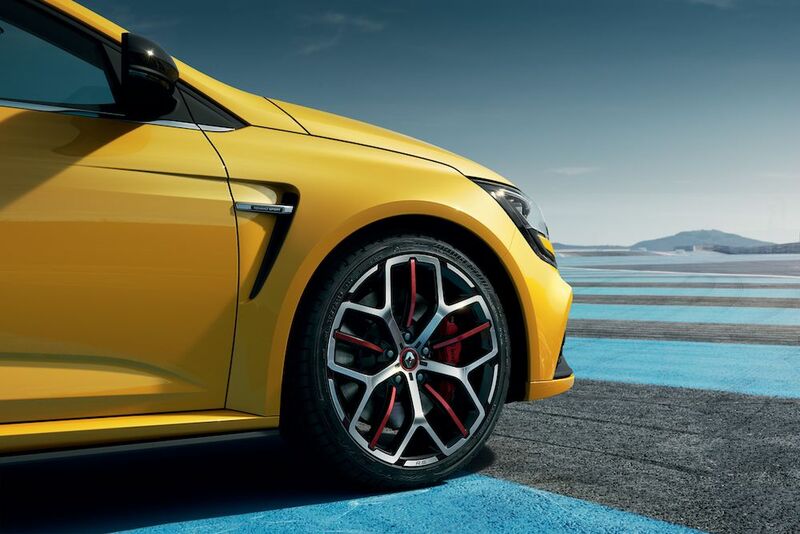 The Renault 4CONTROL system in the Megane RS essentially means that you get four-wheel steering. It is, however, far more intelligent than just that. The system delivers outstanding agility through tight turns and impressive cornering stability at high speeds, at low speeds the rear wheels turn in the opposite direction than the fronts to deliver incisive steering and a “playful” side that front wheel drive cars do not have, at high speeds the rear wheels turn in the same direction as the front thus making the wheels perfectly aligned and the car enjoys increased stability. The full range of Megane RS body colours are available, however most will favour the infamous liquid yellow of the RS cars. This new Trophy model is even more expressive and sporty than previous models. 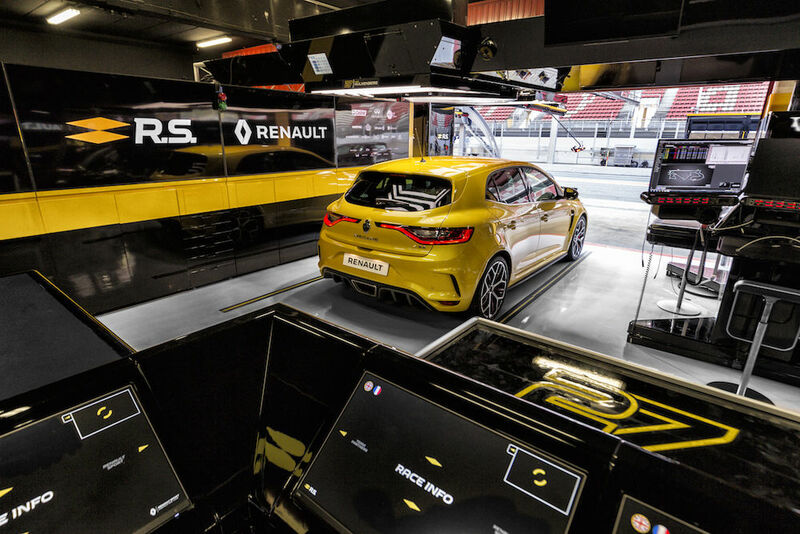 The Renault Megane RS Trophy has a maximum speed of 162, a 0-60mph time of 3.7 seconds and does 50-75mph in third gear in 3.1 seconds. 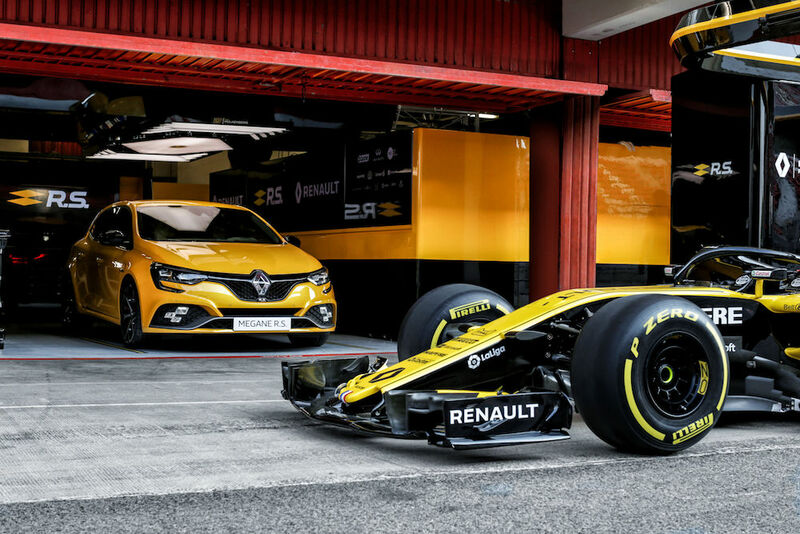 These are impressive times and they certainly fit the looks of the car, with its F1 style front blade with TROPHY stripes, it looks the part and most certainly has the stats to carry on the RS traditions. 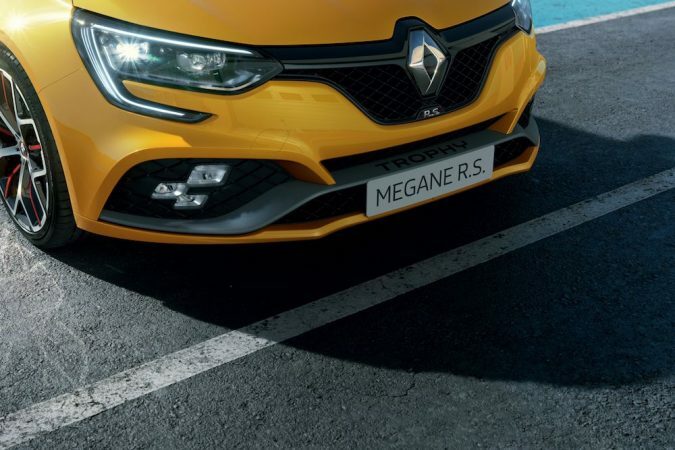 Not completely sold on the new shape of the Megane RS. That being said, power and torque figures are awesome — the limited slip diff would be doing a lot to get that power onto the road. This or a Golf R… hmmm.